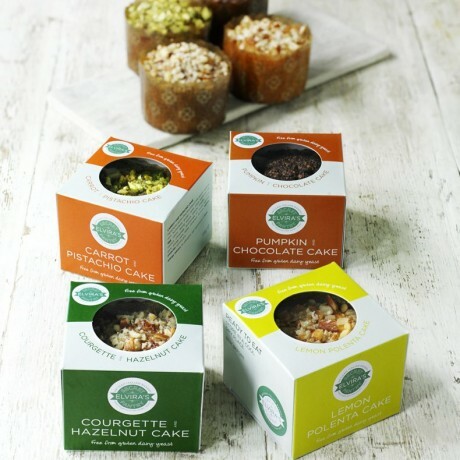 The perfect present for all those out there with a love for cakes. Sign yourself or a loved one up for this membership option and you/they will receive freshly baked, individually boxed, scrumptious gluten-free cakes every week for one month. It is the gastronomic gift that just keeps on giving. Loved the mince pies especially when warmed up , thank you. Good carrot cake , but not the best! Didn’t have as many pistachios as in the image , it tasted nice and was moist , it was delivered on time and in good condition . Delivered quickly, very well packaged and, most importantly, this cake was absolutely delicious! Amazing Flan, enjoyed by all my lunchtime guests! I needed the cake for a birthday. I needed the cake for a birthday. My brother and his partner are GF & DF and are never able to eat birthday cakes when we celebrate birthday's so I did everything I could to find a cake that everyone could eat. Everyone not only loved the cake but everyone could eat it! Thank you. My favourite find of 2015 food wise and I am not even kidding. My favourite find of 2015 food wise and I am not even kidding. Elvira's Secret Pantry do gluten free, dairy free and yeast free tarts. They are just AMAZING. If you live a gluten free diet you will appreciate these tarts. I can not rave about them enough they are packed with flavour! This product is eligible for free Economy delivery.